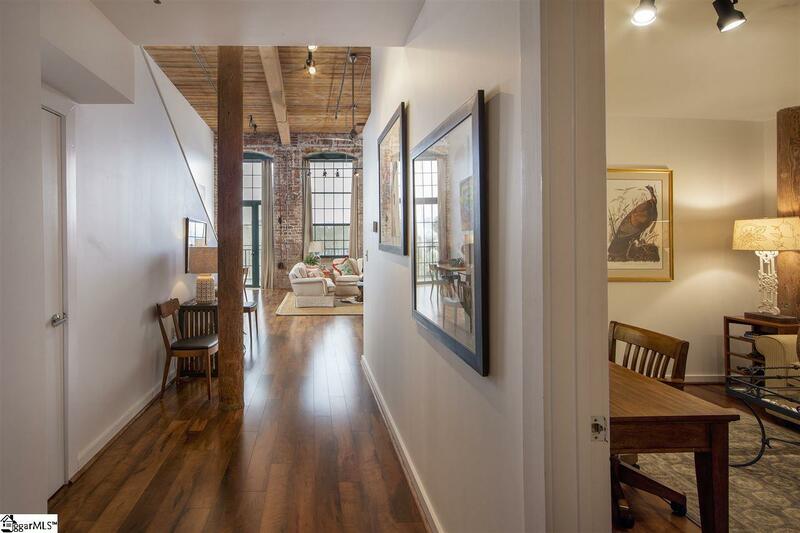 Unit 421 - This lovely 2 bedroom 2 bathroom condo is located in the historic Lofts at Mills Mill. 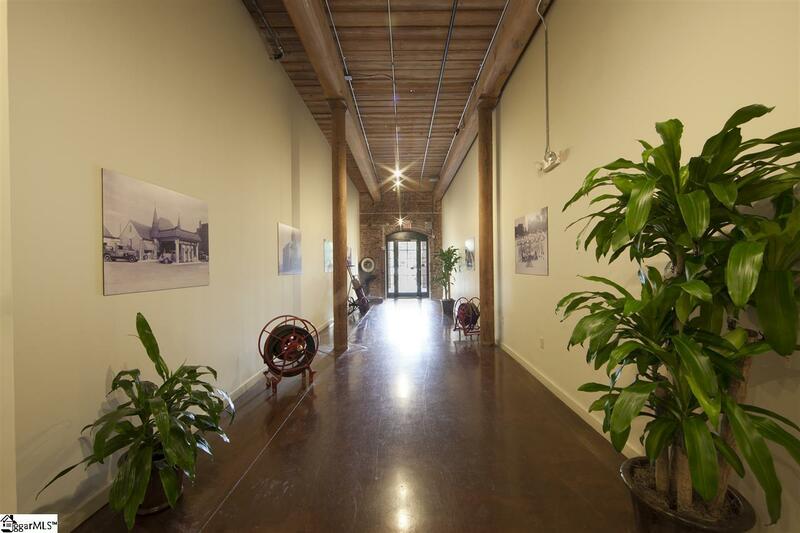 This converted textile mill sits on 7 fenced acres, less than a mile from downtown Greenville, and is also convenient to I85 and minutes from Prisma Health's (former GHS) main campus. 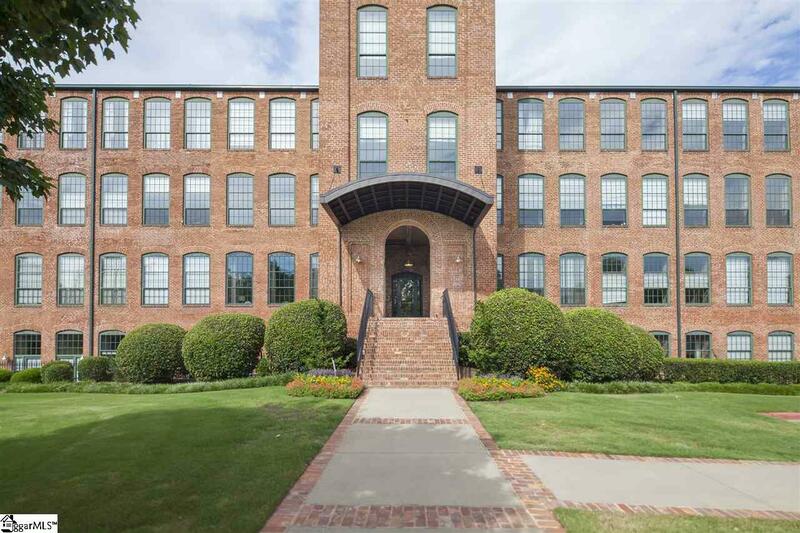 Unit 421 is located on the top floor, with a private balcony with views of the sunset and the iconic Mills Mill smoke stack. This unit was diesigned for OPEN CONCEPT living with soaring ceilings, exposed massive heart pine beams, exposed brick and HUGE windows. The beautiful kitchen has granite counters and stainless steel appliances and is open to the living area. The windows provide loads of natural light. 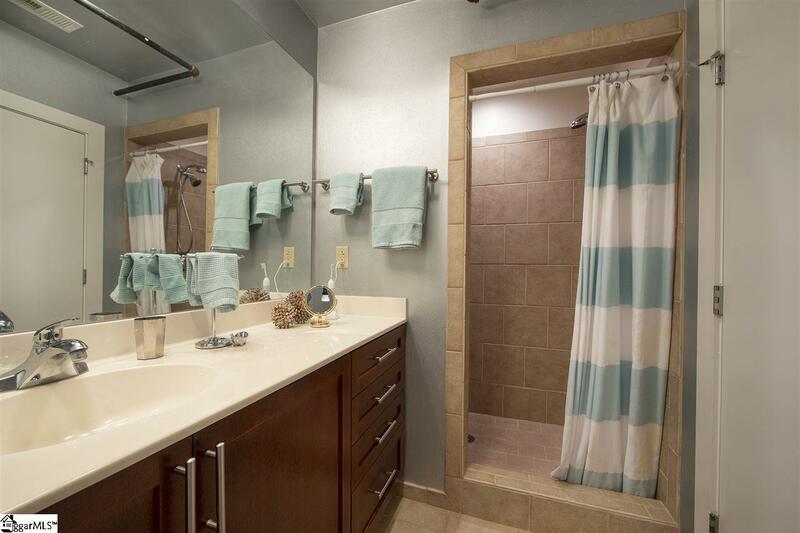 Upstairs is the master bedroom with a large bathroom and master walk-in closet. The second bedroom is downstairs, and is currently being used as an office. Current owners installed new laminate flooring through living areas and replaced hot water heater. This condo is MOVE IN READY! Living at Lofts at Mills Mill offers urban living with conveniences you don't find in other downtown condo properties. Ample gated parking, community pool, fitness room, community garden and dog park are a few features of this exceptional property. Tax rate shown is 6%. Primary residence tax rate is 4%. Listing provided courtesy of Elizabeth Henry of Joan Herlong Sotheby's Int'l.